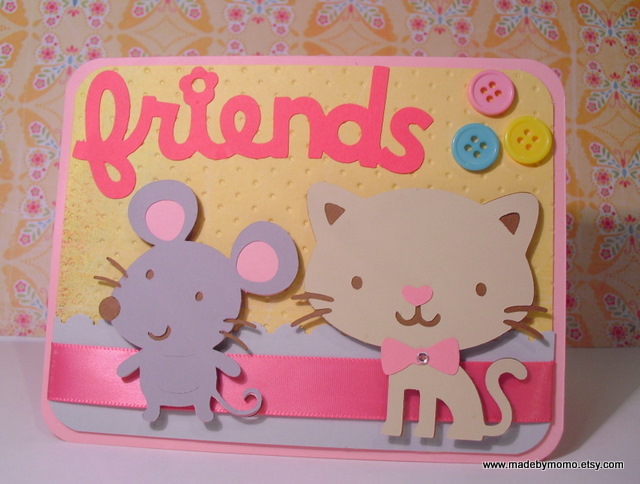 Here is another card as promised using the Create A Critter Cartridge! Hope you enjoy and thanks for all your sweet comments you guys are awesome!!! Wow...I'm the first comment for this cute card. I love all you've been doing with this cartridge. I'm anxiously waiting for it to arrive...I had to pre order it. Keep up all your great videos. Thanks! Very Cute, I just purchased this cart too, can't wait to us it. Love to watch your video's. Great job. Thanks again for sharing.. I ordered my create a critter today after seeing all your cute cards. Help! I love the ribbon flowers you made but I can't find the tutorial. Could you post it on your blog?